A leading air passenger rights advocate says he was shocked to read that Air Canada refused to guarantee a toddler a seat next to her parents unless a $40 fee was paid. Air Canada says it has amended its policies after a leading air passenger rights advocate criticized an incident where the airline refused to guarantee a toddler a seat next to her parents on a Vancouver to Toronto flight unless a $40 fee was paid. Gabor Lukacs told CBC News Friday that Air Canada is mandated by the Canadian Transportation Agency (CTA) to make all reasonable efforts to seat children 12 and under adjacent to an accompanying adult. Its own operating tariff says it will do just that — and for free, even on the airline's economy brand, Tango, he added. "Air Canada is misleading the families and is engaging in fear-mongering," Lukacs said. "Essentially Air Canada is asking for ransom money to ensure that children are seated next to their parents while actually as a matter of law, they are required to do it anyway — and free of charge. "It is a cash grab," Lukacs said. Asked for comment over its procedures for seating children, Air Canada said Friday that it, "automatically assigns seating without an advance seat selection fee soon after the booking has been made, either directly through Air Canada or through a travel agency, for parents and guardians who have indicated they are travelling with children on a Tango fare." Nevertheless, the statement said, procedures have been amended today so that Air Canada call centre agents will now assign "complimentary seating to children and their parents or guardians right at the time of booking a Tango fare directly through Air Canada Reservations or their travel agent." They said the new information will be updated to their website shortly. 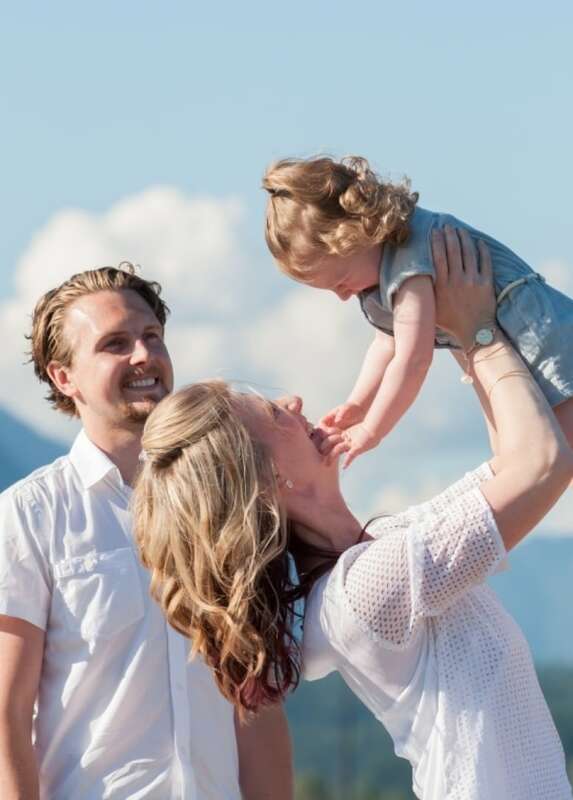 The change of procedure comes a day after CBC News published the story of Caley and Matt Hartney, who were told that their two-year-old daughter, Charlotte, would not be guaranteed a seat next to one of them, without a $40 charge. "I clarified with the [call centre agent] three or four times, that he was telling me my child was not guaranteed a seat next to [us] without a fee," Carley Hartney said Friday. Informed that her story had prompted a change in procedures, Hartney said she was delighted. "I am really happy to hear that," she said. The idea that a child under 12 should sit next to a parent or guardian on a flight is not about convenience, Lukacs argues. It is a straightforward safety issue. "The children have to be safe and Air Canada cannot operate a flight, and cannot have terms and conditions that jeopardize the safety of children — whether it is Tango, executive class or whatever. "Children have to be safe. Full stop." Lukacs said that no one is expecting that families should be able to insist on all sitting in a specific row number, just that a child under 12 is seated next to an accompanying adult for no extra charges. "That's all, " he said. "Nothing beyond that." Last year, following a passenger complaint against another airline, Air Canada, along with several other carriers, were ordered by the CTA to file new tariffs by March 2, 2015 that "reflect the fact that the respondents have adopted supplemental seating policies or procedures and are making reasonable efforts to ensure that children are seated with their accompanying guardian."